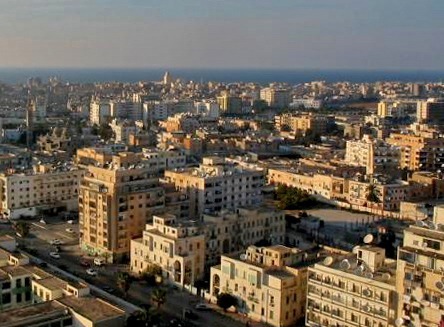 Once viewed as a center of opportunity, Benghazi now seen as danger zone. ISTANBUL, Turkey (Morning Star News) – The youngest cousin was carried back home in an ambulance, half dead with a bullet lodged in his skull. The next came back to the village just a month after he left, to be buried in a Coptic cemetery. Another cousin disappeared in 2012; he is thought to have been taken by Islamic militants and hasn’t been heard from since. 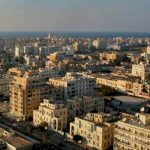 For Christians in Egypt, the word “Benghazi” has become synonymous with death; for them, the seaside capital of Libya and surrounding area have gone from a place where Copts went to pursue better economic opportunities to one where they go and die. In a quest to rid the city of Christians, Islamic militants have turned the area into a danger zone for Copts. Since March of last year, 13 Egyptian Christians have been killed there. Egyptian newspapers have been full of stories of Copts being arrested without cause, rounded up and executed or gunned down at their workplaces. For one extended Coptic family in Egypt, the killings aren’t mere headlines; they have suffered the loss of two relatives, and likely a third, to Benghazi gunmen. They are the only extended family in Egypt known to have lost more than one member in Benghazi. The most recent victim of the killings in Libya, Gad Abd Al-Messih Abd El-Malak, 37, died on March 29, after he was gunned down by Islamist militants. His cousin, Salama Fawzy Tobia, 23, was shot March 2 and died 13 days later. All the victims came from Al Sheikh Talata village, an Upper Egypt backwater in Minya Province. When Egyptians picture Upper Egypt, most think of villages like Al Sheikh Talata. The village is insular and impoverished – date palms, donkeys and men dressed in a traditional loose-fitting garment known as a jellabiya dot a landscape of sugar cane and molokhia (Jute leaf) fields. Work is back-breaking and provides only a day-to-day existence. The village is so small it can’t be found on most maps of Egypt. The busy streets of Cairo seem like they are a world away. Libya is even farther. No one knows how long the three men thought of leaving Al Sheikh Talata, whether they struggled with the decision to go or it came easily. But despite the dangers, the lure of a better life was too much for the three to refuse; there was no work left in the village. Tobia and Abd El-Malak left at different times; Talata in 2012, just after finishing his three-year conscription term in the army, and Abd El-Malak in February of this year. Emad Magdy, the kidnapping victim, left several years ago. Tobia and Abd El-Malak lived in different homes in Benghazi, but both took the only job many unskilled migrants in the region can find. The both roamed the streets plying wares. Each of them worked at separate produce stands, selling vegetables to passers-by. The produce business gave them both a way to get enough cash for the day’s needs and, they hoped, a little extra. As an added benefit, any vegetables not sold at the end of the day could become part of their next meal. When the killings started in Benghazi, both men wanted to come back. “They were trying to leave like everybody else, but for some reason they couldn’t come back,” Said Tawfik, Tobia’s uncle. Both Tobia and Abd El-Malak were ambushed at their respective vegetable stands. The gunmen chased Abd El-Malak through the streets, firing as they went. He died on a Benghazi street, his body riddled with bullets. Tobia was shot in the head and taken to a local hospital. He was transported back to Egypt where, unconscious, he died almost two weeks later in a hospital bed in Samalut. Next to nothing is known about the way Magdy was abducted. Tawfik said members of the family were able to get in touch with someone who worked with him about 18 months ago and learned that members of an Islamic militia group had picked him up sometime at the end of 2012. The kidnappers never issued any demands for release, and Magdy never made contact with the family. He is presumed dead, but the family still has hope that he will be found alive. If he cannot be found alive, they hope they can at least find out what happened to him. According to the family, “99 percent” of their relatives who were in Libya have returned, Tawfik said.